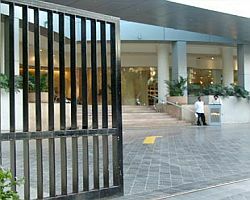 We are one of the specialized Industrial Sliding Gate Manufacturers, Exporters and Suppliers from India. We fabricate Sliding Gate with variety of materials considering the security needs of the customers. We can manufacture Sliding Security Gate in different sizes as per customers specifications. The weight of sliding security gate varies in accordance of the size. Our sliding gates provide better security against burglary etc. Also, the life of our sliding gates is very long. Lastly, you can get our unmatched sliding gates at very reasonable prices. Wide range of models from 300kg 3500kg. Manual operation in case power failure. Self protection against over heat with IP 44. Hold open time adjustable. Multi Connection with various accessories.